If you need some inspiration for your screen printing shop's website, look no further. Branding is everything for screen printers. And great brands know that their website is where it all begins. These screen printing websites have nailed it – they're either pitch-perfect, vividly beautiful, or extremely useful and purpose-driven – but all of them serve as strong branded statements. Any shop can print you a shirt. So your online presence is how you can truly set yourself apart. We've seen a lot of amazing shops struggle with their websites. We've also seen small startup shops grow and thrive because of incredible websites. Sending the right signals from your brand takes time and iteration, but the payoff is huge. In a competitive market like custom apparel printing, your website is proof of your expertise. Here's 7 of the best screen printing website designs out there. 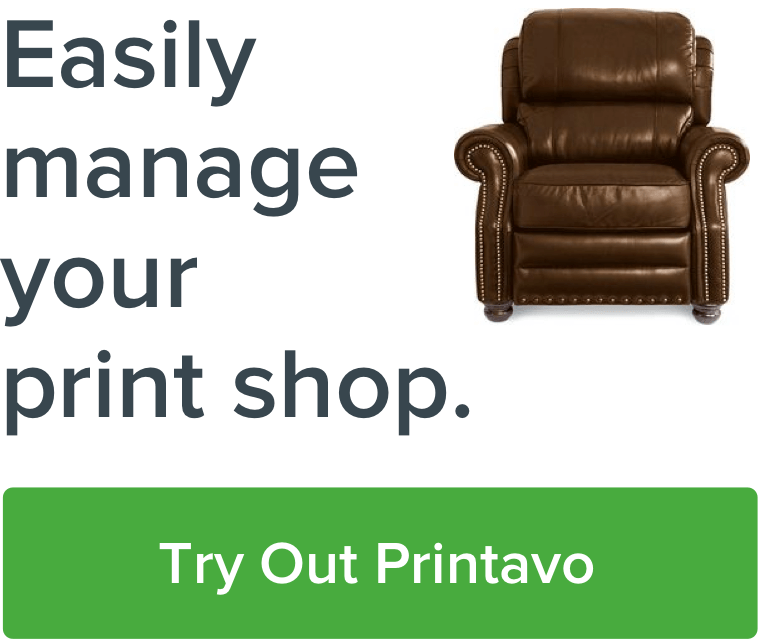 The Industry Print Shop's embedded videos give every visitor a "Wow!" moment – right from the start. Industry includes their Instagram feed to lure new followers and show what they've been up to. Simple call to action. The prominent "Get a Quote" button is front and center. The user knows exactly what to do, and the company sends a clear message about where they want you to click. Clear branded statement. Industry cleanly defines the scope of their work and what their brand focuses on: "From concert posters and ﬁne art prints to custom t-shirts and apparel, Industry stays true to the hand pressed aesthetic of screen printing." Examples of work they've completed for clients. A simple portfolio is linked to – right from the homepage. Users want a quick way to see proof and examples. Not only are the prints beautiful, they're perfectly photographed! Their recent Instagram photos. You can immediately connect with their recent work and get looped in to their social media work. Shirt Kong's website has great video imagery – but doesn't try to impress you. It's all business. We're big fans of Shirt Kong. They do some of the coolest video content of any screen printing shop. Check out the Shirt Kong Instagram to see what we mean. I haven’t paid much attention to other print shop’s sites, so I didn’t realize ours was comparatively simple, but that’s what I was going for when I designed it. I built the current website a few years ago. It’s pretty basic, but I really like the simplicity. Ordering a t-shirt can get complicated and I want to make it easy as possible. The site shows us doing what we do, describes the ordering process and provides a few options to contact us. We receive multiple contacts every day, so it works. Also, it pairs really well with what we do. We’re a custom shop that focuses on service and design. Our competitive advantage is that there are five graphic artists here every day that can design a killer shirt. I didn’t want to get away from that with an online design feature, so I've rejected that ever since it was available. I wanted to stay true to who we are and what we do well. There's not much more to stay than that, is there? Shirt Kong has nailed simplicity. Lenny adds a personal touch with a simple photograph and clear statement. Lenny Terenzi of Hey Monkey Design refreshed his brand and website for 2019, and the results are truly impressive. A master of design and copywriting, Terenzi runs toward his brand's uniqueness instead of shying away from it. There's a passionate voice that's backed up with highly emotive text design. It combines to feel personal and honest. My main goal was story. To really let people know who I was and who they were going to work with. I am not a high production print shop. I am a designer who specializes in branding, brand strategy, illustration, and then screen printing as a service to my clients and as a team building and workshop endeavor to others. Yes, I do commercial work, but that is not what my business is about. It is about elevating design and brand and having hand-pulled screen printing as an extension of that. My new site dialed in my voice. Who you meet is who you read about on my site. There is no doubt what you are getting into with me when you read through my site. It is a great client qualifier. I am open about rates, asking about budgets, and communicating that I may or may not take on jobs based on how they fit in with my vision of growth. He roots the website in community – events, classes, workshops – and prominently places the brand in Durham, NC. Not only is there a sense of place, there's a real sense of identity. Lenny knows who he is, he knows why his shop exists, and his website reflects these values. A clear statement of purpose. "I deliver exceptional branding and illustration workshops. Look! Recent projects!" Users really want to know what that looks like! Recent projects and social proof. Prominently featured brands and logos that the shop has created act as assurance that Hey Monkey means business. Recent projects are presented as Case Studies and form a complete picture of what Hey Monkey can do for its clients. Upcoming workshops. The focus on events and workshops is brilliant. Users want to take part in this brand, not just buy something from it. Real Thread's homepage is clean and serious, but not intimidating. It's pitch perfect. Big, bold, colorful, and highly interactive, Real Thread doesn't just show you that they're professionals. They blow you out of the water with how high-end their website feels. It's equal parts advertising and art – more like using an Apple product than a print shop's website! Right from the get-go, you're urged to type in how many shirts you need. Users know exactly why they're here and what they can do. Focusing on the softness of their shirts is clever – it's a huge factor in how customers choose garments and it's something that requires no technical knowledge to understand. If the shirt is soft, it's better, right? Real Thread offers a loyalty program – something usually reserved for large corporations. Super smart! Interactive elements. From simple buttons to a field to type how many shirts you want, this site feels "touchable" right from the get go. Users want to interact with this design. Answering common questions and addressing concerns. Real Thread has focused on customer satisfaction, and it shows through their focus on their product. They combine social proof – "We've worked with thousands of thriving brands to guide them through the custom t-shirt process" – with detailed assurance that they're focused on the customer above all else. Resources that urge action. One of the more unique elements, Real Thread offers downloadable design assets to help you create your perfect shirt. They also address their fulfillment services, guarantee that they'll deliver on time, and nudge the user toward signing up by offering a 1% credit through their loyalty program. The combined effect is a heightened sense of urgency. Barrel Maker takes the things that are close at hand (like Pantone Swatches) and makes them part of their brand. Why it's great: By utilizing the rich visuals in their print shop – inks, equipment, tools – they show what they do. As you scroll, more colorful images greet you. In case you didn't know, we are huge fans of Barrel Maker Printing and visit their production shop whenever we can. Erin and Justin Moore regularly host live screen printing events (and have a stunning website for that side of their business too) and are anchors for the custom printing community in Chicago. But what really sets their homepage apart is how focused they are on showing their employees. This is a delightful way to create a connection with customers: show the people behind the shirts. They invested in high-quality photos that are intimate and unique – close-ups of their employees' eyes that zoom out to reveal a full portrait when you hover over them. Barrel Maker Printing's intimate and inviting Team page has great close-up photos. Users don't just want to trust the people behind Barrel Maker, they want to impress them and connect with them. Colorful hero images and a statement of purpose. There's barely any copy on this page, but the copy that is there does a lot. It explains what they do, who they are, what their mission is, and shows their past clients – all in one easy-to-digest place. Latest Instagram posts. The highly visual theme continues with a simple grid of their latest Instagram posts. Users can quickly connect with Barrel Maker and see what they're up to. The employee section. Mentioned above, this is prominently displayed on the front page. It's no accident – putting a face to the brand creates an instant connection. Newsletter sign up and contact form. While Barrel Maker doesn't utilize a traditional call to action button, they do give users a fast and easy route to connect. You can join their newsletter or get in touch for a quote easily straight from the homepage. Trust Printshop's striking front page. Only the essentials on Trust's menu. They show you their logo, offer more info about their ordering process, show off their recent work, and even lead you to more info about the shop's history and employees. But that's it! Nothing to overwhelm you, nothing superfluous – just the basics. By limiting what users can do, the design simplifies the paths that users will take through the site. This means curating the best possible experience for every visitor is a simple and streamlined process: point them toward the (really good) quote generator and leave everything else out. Users know exactly what Trust's order intake process is going to require with a single glance. Emphasize stress-free ordering for busy people. Trust knows its core audience is marketers and busy entrepreneurs. That's why they emphasize their process as much as their product. Large pull quotes from reviews. They let the customers do the talking. This strategy is a winner because no one wants to read a sales pitch. But something a customer actually said? That's interesting. Offer a sample. This is a great technique to show how serious (and trustworthy!) Trust Printshop is. You can drop in and get "your new favorite shirt," for free. Now that's a serious hook! The Custom Ink front page. Wait a second, what's this doing here? Yes, we're going to give credit where credit is due – Custom Ink has put in the work to design a slick and wildly useful website. The simple "self-serve" nature of their website is something a small operation simply can't expect to pull off. But there's still plenty to learn from what Custom Ink does. Custom Ink has an absolutely huge product catalog. Extreme clarity about next steps. The "Start Now" button isn't just a call to action – it's basically the only thing a user can interact with. You have no choice but to get started! "Talk to a real person / Chat now." This is a great move. Custom Ink is accomplishing two things here: they're putting their service and contact info right there, and they're showing that customers can get help immediately if they need it. Shipping options. Custom Ink begins the upselling process right from the start. 2-week delivery is "good," but you can upgrade and get your new shirts even faster! The specific completion dates give concrete information that customers can act on. Custom Ink's website isn't beautiful. But it is well-designed. It's useful, offers customers instant gratification, and is simply one of the most trafficked screen printing websites on the internet. There's plenty to learn here. With the infinite creativity and capability of screen printers and custom printing shops, websites are just another facet of a successful business. But they're more important than ever, and you can learn a lot from the people who've nailed their web presence. Entire brands have been built around little more than a printing press in a garage and a great website design! But we're sure that we missed something amazing. Want yours considered, or think you've got a great candidate? We'll keep updating this article as we discover more amazing screen printing shop websites. Leave a comment below or reach out to us on Instagram!